It’s a tale as old as time: one person meets another, things click, sparks fly and a romance is born. 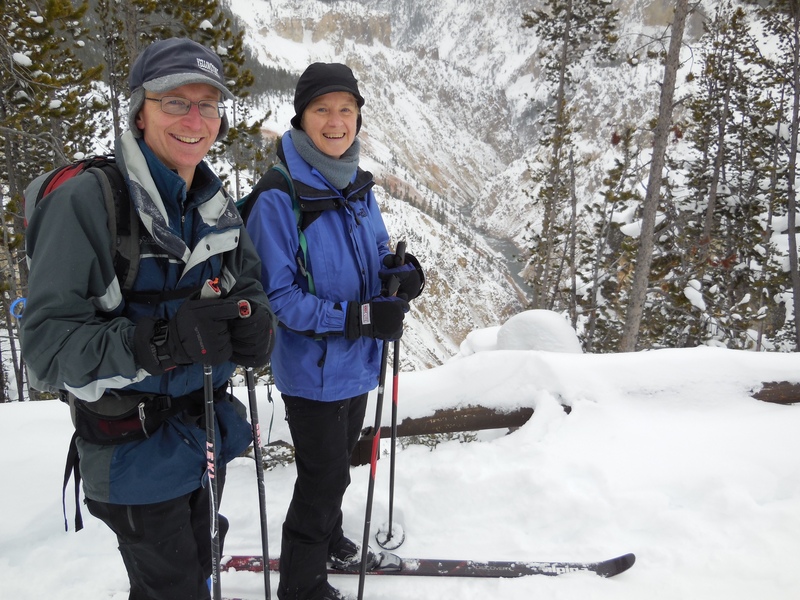 Being in the right place at the right time is one of the most important aspects in finding love, and Yellowstone National Park has proved to be that right place for many couples over the years. Working in Yellowstone also can play a huge role in finding “the one”. 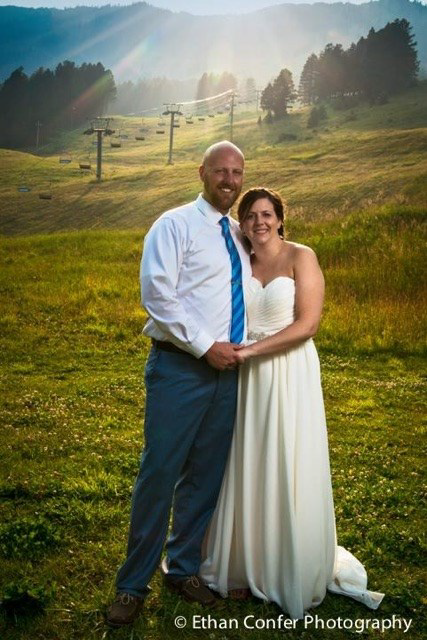 There have been many stories of couples who came together during their time working a single season, and bonded over their mutual love of the park. So whether they met on a trip, fell in love working together or strengthened their bond in the park, here are a few of the many stories about romance in the ‘stone. It was 2003 when Elise first found herself working in Yellowstone. With the encouragement of a friend, she took a job as a room attendant at the Old Faithful Lodge, but her hard work quickly earned her a promotion to the porter position. It was her love of adventuring that kept bringing her back to the park, where fate would bring her together with her future husband. Cody wouldn’t arrive in the park until 2007, but the two met and became fast friends. The pair began dating the following year in 2008. As an avid lover of exciting experiences, Elise says going on Yellowstone adventures with Cody really helped them get to know one another. And all of those journeys led them to a proposal in 2013. It was Elise’s favorite Yellowstone holiday: Christmas, and the pair were working together in Canyon Village. Once she got off work, Elise and Cody went back to their dorm so they could exchange Christmas gifts: one of their beloved traditions together. Now happily married, Elise and Cody still work together year-round in the park as location managers at Old Faithful. She also said she never pictured Yellowstone National Park would be where she would find the love of her life. “I am not a girl that plans her whole life out, so meeting the one person that I want to go on all my adventures with was very unexpected,” she concluded. During the winter season of 1992, Betty Martyn worked the front desk at the Mammoth Hotel when she noticed a young man about her age who worked as a dispatcher– seemed to like spending time around the front desk as well. “On New Year’s Eve, we officially started dating at a party at the Two Bit Saloon in Gardiner; it was very, very romantic,” Betty joked. The next few years the couple dated while working in the park together, and in 1997 they got married. Both Betty and Woody grew up worlds apart, but fate played a role in bringing them both to Yellowstone to close the gap. When asked if she ever expected to meet “the one” while working in the park, she responded with “absolutely not,” but recalled a joke a good friend used to quip to her. “One of my friends back in Florida said, ‘you know what, Betty? Someday, I think you’re just gonna come around a tree and there he’s gonna be,’” she laughed. It may have been a front desk instead of a tree, but Betty and Woody have lived and loved working in this park for 27 and 33 years, respectively. The irony is that both of them had originally intended to only work a single summer in the park. Both now work year-round for Xanterra. Yellowstone may be one of the country’s most isolated places, but it’s certainly no stranger to love. The magic of Yellowstone has been bringing couples together since its birth in 1872, and that magic still lives on today. These two couples are only a few examples of many more before them, and many more after them. Want to experience Yellowstone in-depth? See what makes Yellowstone Natioanl Park a great place to work for a season or longer!